Democratic and Republican senators have made sneaking through a bill that attacks our First Amendment freedoms their priority. The Combating BDS Act, part of the new Senate's first bill, encourages states to adopt anti-boycott laws – the very same ones that federal courts in Arizona and Kansas blocked on First Amendment grounds. If passed, the bill would encourage states to penalize Americans who dare to participate in a boycott, divestment, or sanction against Israel and Israeli-controlled territories. States should not be suppressing expression they find objectionable or politically unpopular, and Congress shouldn't be egging them on. It's up to us to stop Congress from trampling on our First Amendment right to express our political beliefs. As your constituent, I urge you to vote no on S. 1, the Strengthening America’s Security in the Middle East Act, which includes language from the Combating BDS Act. This provision was unable to move forward in the 115th Congress, primarily due to First Amendment concerns. Now, as their first bill of the new Congress, Senators have introduced another version of this bill that would encourage states to adopt unconstitutional measures intended to suppress protected political expression when those opinions are disfavored by the government. 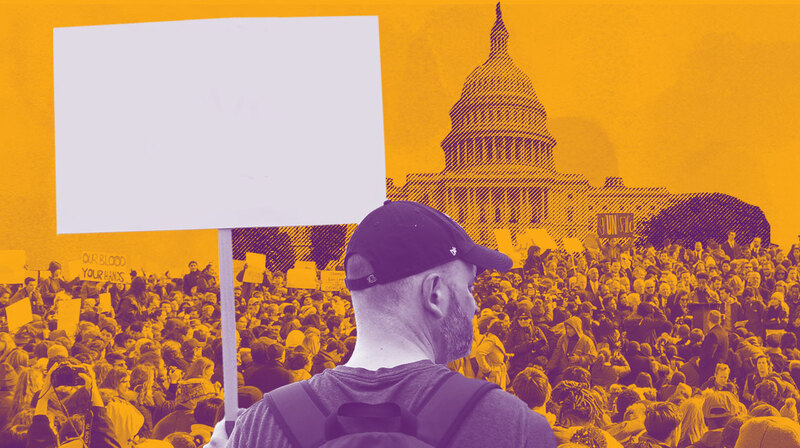 Political boycotts, including boycotts of foreign countries, have played a pivotal role in this nation’s history - from boycotting British goods during the American Revolution to the Montgomery Bus Boycott of the Civil Rights Movement. The Supreme Court has made clear that the First Amendment protects the right to participate in political boycotts, and just last year, two federal courts blocked state laws seeking to suppress boycotts of Israel on First Amendment grounds. If the First Amendment means anything, it’s that the government cannot suppress political expression it doesn’t like. It’s unacceptable that Congress would attempt to stifle our freedom of expression - especially as its first priority. I urge you to oppose the Combating BDS Act, and any effort allowing the government to treat citizens differently based on the peaceful expression of our political positions. Our First Amendment rights are at stake. This system requires that you provide your name and contact information. This information will not be used for any purpose other than to identify you to the recipient. Many public officials use "web mail forms" that this system will send your message to, so you don't have to visit their web sites to communicate with them. The systems that some of these officials use requires that the honorific field be used (Mr., Mrs., Miss, etc.). Unfortunately, we do not have control of which honorific titles are presented as options. We must adhere to what the officials are using in order for your message to be delivered. Salutation * - Select -Mr.Mrs.MsMissDr. Show my name in a list of action takers. I allow the ACLU, its state affiliates, and their representatives to call and/or text me at the phone number provided about ways to take action and support the ACLU organizations.